Police are renewing appeals for information and have announced a reward after a cab was shot at in south London last summer. Detectives from the Trident and Area Crime Command also wish to speak with 26-year-old Kevin Zebo, who is also known as Ouuraga Kevin Zebo. Zebo, who is from the Woolwich Dockyard area, is known to have links in the south-east London area, Bournemouth and Andover. A reward of £5,000 is offered for information leading to his arrest and prosecution. Police were called at approximately 18:35hrs on 8 June 2018 to reports of a firearm being discharged on Herbert Road, SE18. Officers established that at 18:30hrs, two men walked into a cab office and requested a cab. The men got into a cab; as the driver reversed, he saw a group of males approach the cab. One of them pointed a handgun at the cab and fired it once into the rear of the car, shattering the window, and narrowly missing the two passengers. The suspects then ran from scene before getting into a car. Detective Inspector James Bray, from Trident, said: "Whilst my officers have worked tirelessly to successfully identify those involved, Kevin Zebo has gone to ground and remains at large. "Although this incident, by pure luck, did not result in anyone being killed or seriously injured, the consequences are far reaching. This level of mindless violence has no place on London's streets. "Kevin Zebo is considered a dangerous individual who needs to be arrested. Please don't hesitate to call police." 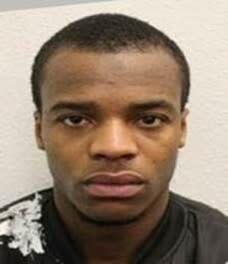 Anyone with information regarding Zebo's whereabouts is asked to call police on 101 with CAD reference 6598/08JUN18. Alternatively, they can call Crimestoppers anonymously on 0800 555 111. 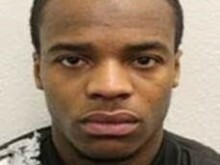 If seen, he should not be approached, call 999. Four men aged 27 [A], 22 [B], 23 [C] and 26 [D] have been charged in connection with this incident.